This is the second part in our series of security/penetration testing/ethical hacking articles, continuing where we left off in part 1. This will be a slightly longer post, but stick with it and you’ll see just how easy it is. In this part of the series, we’re going to use our Kali based attacker’s machine to scan the local network and find our Windows target. We’ll then carry out an ARP Poisoning based MITM attack against it as we explained in part 1. Once we have obtained a MITM position, we can then passively analyse the targets HTTP traffic to see what they’re up to. To be able to carry out our MITM attack, we need to know the IP address of our target and the default gateway (usually the router). In our test environment, apart from ourselves, we only have one other connected virtual machine (the Windows target), so we could just have a look in VirtualBox or on the target machine to find out what IP address it has. On a “real” network though, an attacker wouldn’t be able to do this. So the first thing we need to do as an attacker is to start exploring the network we’re connected to. We need to find out what else is on the network so we can identify possible targets of interest. Before scanning the network for potential targets though, we need to start by finding our own IP address and the address of the default gateway. We’re only interested in the eth0 interface. Its the first, and only, ethernet interface (additional ethernet interfaces would be named eth1, eth2, etc.) and is our network interface card (NIC), which on a real machine would have a standard Cat 5 ethernet cable plugged into it. In this case it’s a virtual interface that’s connected to our virtual NAT Network in VirtualBox. Note: If we were connected to a network via WIFI we would be interested in the wlan0 interface, which isn’t shown here because we don’t have a wireless interface installed on this VM. You can see that the IP address we’ve been assigned is 10.0.2.15 (inet). Sure enough, our default gateway is on 10.0.2.1. We’ll need to make a note of these IP addresses so we can refer to them later. Nmap (“Network Mapper”) is a free and open source utility for network discovery and security auditing… Nmap uses raw IP packets in novel ways to determine what hosts are available on the network, what services (application name and version) those hosts are offering, what operating systems (and OS versions) they are running, what type of packet filters/firewalls are in use, and dozens of other characteristics. We’ll use Nmap to quickly scan our entire 10.0.2.X network, and once we have identified a potential target, we’ll then see what a more targeted scan against it looks like. If you enter nmap --help into your terminal you will see all of the different commands and options you can use with Nmap. Nmap is capable of lots of different scan types, but some of them can take quite a while depending on how intensive they are. One of the simplest and quickest scan types is called a Ping Scan, and is used with the -sn option (found under the HOST DISCOVERY section of the help output) along with an IP address (or range of IP addresses). Host is up (0.00093s latency). The range 10.0.2.1/24 we’ve used here is every IP address from 10.0.2.0 to 10.0.2.255, and it should find every host/device on our local network. By default Nmap will only log hosts that are “up” and responding, but you can also see the whole IP address range scan by using the verbose -v output option: nmap -sn 10.0.2.1/24 -v.
We can see that Nmap found 5 hosts/devices on our test network - including the default gateway and our own machine that we already know about - and has logged the IP/MAC addresses along with the vendor name for the MAC address, which we’ll come to in a minute. 192.168.1.1 is an ASUS wireless router (and is our default gateway). 192.168.1.2, 164, 235 are Apple devices. 192.168.1.39 is an Amazon FireTV. 192.168.1.61 is a Sonos music hub. 192.168.1.253 is listed as “Private”. So how is Nmap identifying these vendor names based on a quick ping scan? Remember in part 1 where we mentioned that MAC addresses are unique and assigned when the device is manufactured? To ensure that those MAC addresses really are unique, and one vendor doesn’t assign a MAC address to a product that is already in use by another vendor, vendors are given a specific range of MAC addresses that that they’re allowed to assign to their products by the IEEE (Institute of Electrical and Electronics Engineers)… so Nmap can easily tell which vendor range a MAC address belongs to. You can also have “Private” assignments from the IEEE for vendors that have paid an additional privacy registration fee. For a more intensive scan like this it’s usually easier to target a single IP address, rather than a large range, as they can take quite a while to complete. We can see that this scan found an open TCP port 1443 with a UPnP service running on it, with the current version information. We’ve also discovered some operating system details Linux 2.4.18 - 2.4.35 (likely embedded). None of this specific information is really necessary for a MITM attack. We only need the IP address of potential target and the default gateway, but it gives us a clearer picture whats on the network. Also, in the future if we start to cover exploiting machines directly, and not just MITM attacking their internet traffic, the more information we can gather at this stage the better as it will help us find specific exploits in these software versions. We know that the default gateway is on 10.0.2.1, our own IP address is 10.0.2.15 and the other 2 IP addresses 10.0.2.2 & 10.0.2.3 are for DHCP/DNS (not a typical configuration)… so that leaves us with 10.0.2.5. As we saw with the scan of my home network earlier, it’s usually a lot easier to identify devices on a real network rather than a virtual one. Now that we know our Windows target IP address is 10.0.2.5 and our default gateway IP address is 10.0.2.1, we have everything we need to launch our attack. We’re going to use MITMf (Man In The Middle framework) to execute the MITM attack. 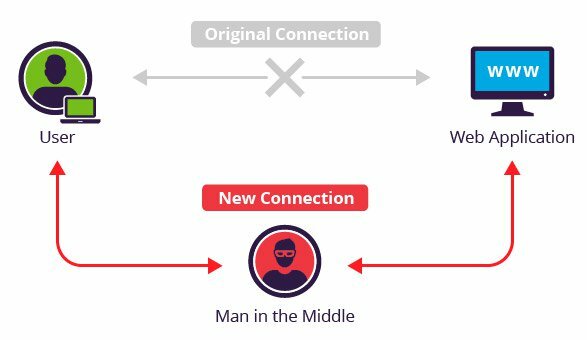 MITMf aims to provide a one-stop-shop for Man In The Middle and network attacks while updating and improving existing attacks and techniques. Originally built to address the significant shortcomings of other tools (e.g Ettercap, Mallory), it’s been almost completely re-written from scratch to provide a modular and easily extendible framework that anyone can use to implement their own MITM attack. apt-get update - will download the latest package lists from the repositories. apt-get install python-dev python-setuptools libpcap0.8-dev libnetfilter-queue-dev libssl-dev libjpeg-dev libxml2-dev libxslt1-dev libcapstone3 libcapstone-dev libffi-dev file - will download the required system dependencies. Enter Y to continue when prompted. git clone https://github.com/byt3bl33d3r/MITMf - will download the MITMf repository. It will be downloaded to a folder called MITMf. cd MITMf - to change into the MITMf directory we just downloaded. git submodule init && git submodule update --recursive - will download the additional MITMf submodules. pip install -r requirements.txt - will download the Python dependencies for MITMf. We should now be set. You can see MITMf’s usage instructions by entering python mitmf.py --help. MITMf only needs to know our target and default gateway IP addresses to initiate the MITM attack. It takes care of everything else for us, using the ARP Poisoning technique discussed in part 1 to change our target’s ARP cache entry for the default gateway, re-routing its internet bound traffic to our own MAC address instead. It also takes care of the other side of that equation too, so the responses from the real gateway back to the target are handled - providing uninterrupted connectivity so the target is completely unaware the attack is taking place. Once we have successfully become the MITM, we’ll then be able to analyse the traffic as it flows through our network interface. You can see the current entry for our default gateway 10.0.2.1 with the MAC address: 52-54-00-12-35-00. Congratulations! You’ve just MITM’d your first target. You can verify the hack by jumping back on to the Windows machine and re-running the ARP -a command we ran before. You should see that the MAC address for the default gateway (10.0.2.1) has changed from 52-54-00-12-35-00 to our attackers MAC address 08-00-27-27-06-d4! You might have also noticed that there were no warnings that this happened on our target Windows machine - no flashing lights, sirens or any indication at all within the operating system. You can see all the HTTP requests our target machine is making as we browse around using Edge. You can see the vb_login_username and vb_login_password fields sent in the clear, with the test username and password that I used to try and log in with. Hopefully, the ease with which we just carried out this MITM attack should be starting to sink in. As we discussed in part 1, never trust a network that isn’t yours… all it takes is a quick scan with nmap and a single mitmf.py command for an attacker to successfully intercept your HTTP traffic. We might as well have written our fictitious forum username/password on a big red bus and got Boris Johnson to drive it across the country. Not everyone uses a password manager to create strong unique passwords for all of their frequently visited sites. In fact, hardly anyone does, with most people re-using the same one everywhere. 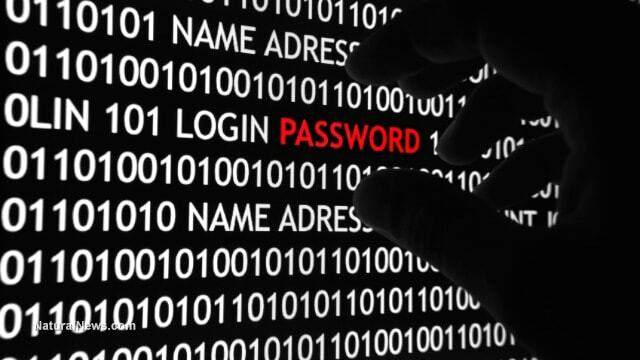 The first thing a hacker will do is to try those login details everywhere else. They will also use these compromised sites to learn valuable information about you, information that can be used against you in social engineering attacks that you will have a much higher chance of falling for. But worse, as we’ll see in part 3 of this series, any traffic that is not sent over HTTPS can be tampered with by a MITM, creating a much more dangerous environment with an attacker potentially tricking you into revealing even more valuable information. If you’d like to use Kali outside of our virtual test network (like the example nmap scan on a real network earlier), you can change your Kali VM network settings from NAT Network to Bridged Adapter (usually requires a reboot). Your Kali machine will be then assigned an IP address on the same local network that your “host” (real machine with VirtualBox) is on. This should go without saying, but… if you’re using these tools beyond our virtual test network, you need to own that network and the devices connected to it, or have express permission from the owners involved to carry out this testing. If you do not, then under no circumstances should you be doing it. Depending on where you live, you could be committing several offences and can be criminally prosecuted.